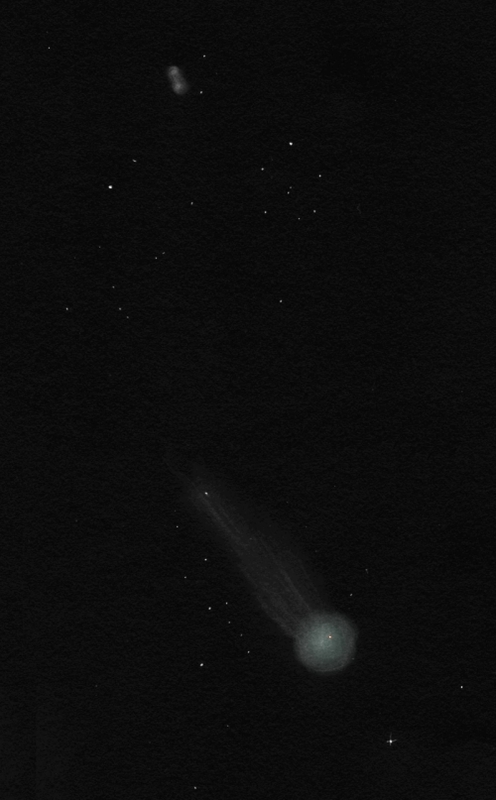 Impressive sketch of the comet and planetary nebula. The animated motion of the comet is outstanding. Your work is always interesting and impressive. This is a wonderful capture of comet lovejoy and M76. The animated movement is an extra special treatment and displays how quickly the comet moves through the eyepeice. Delightful!